Primal Defense™ is a natural whole food probiotic blend of HSOs™ (Homeostatic Soil Organisms) designed to optimize the health of the human digestive tract and immune system. Primal Defenseä is produced using the Poten-Zyme™ process and the Microflora Delivery System™. Primal Defense™ contains the same nutrients that have been used for thousands of years by some of the healthiest and longest living people in the world. Why do we need Primal Defense™? Beneficial soil and plant based microbes used to be ingested as part of food grown in rich, unpolluted soil. However, for the last 50 years we have been sterilizing our soil with pesticides and herbicides, destroying most bacteria both bad and good. Our modern lifestyle, which includes antibiotic drug use, chlorinated water, chemical ingestion, pollution, and poor diet, is responsible for eradicating much of the beneficial bacteria in our bodies. A lack of beneficial microbes often results in poor intestinal and immune system health, contributing to a wide range of symptoms and illnesses. system health, contributing to a wide range of symptoms and illnesses. What are HSOs™ (Homeostatic Soil Organisms)? The main component in Primal Defense™ is the HSOs™, which have been used for over 22 years by thousands of health practitioners. The naturally occurring colony arrays of probiotics are non-mutated from the original cultures found in unpolluted soil and plants and are now cultured in U.S. laboratories using the discoverer's proprietary methods. The HSOs™ are in a substrate of nutrient rich super-foods providing vitamins, minerals, trace elements, enzymes, and proteins. The probiotics are then made dormant using the Microflora Delivery System™, which protects the probiotics and delivers them directly to the GI tract where they multiply and flourish. Impervious to stomach acids and the digestive process, the microorganisms move through the stomach to the intestinal tract where they form colonies along the intestinal walls. HSOs™ multiply in the intestines and actually compete with harmful bacteria and yeasts for receptor sites, crowding out the pathogens and taking up residence. Once established, the organisms quickly begin producing the proper environment to absorb nutrients and help to re-establish the proper pH. accumulated decay on the walls and flushing out waste. the immune system to produce huge pools of uncoded antibodies. body's ability to ward off diseases. 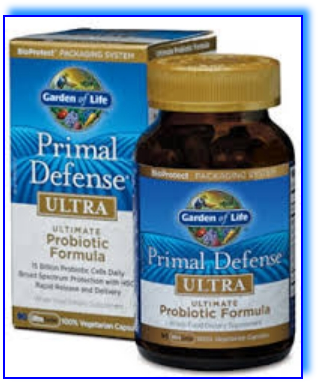 What is the difference between Primal Defense™ and other Probiotics? Even if they manage to get through the destructive stomach acids, most probiotic supplements can have a hard time implanting in colons that are pH imbalanced or have too many harmful bacteria. HSOs™ are designed to implant in any colonic environment. The Microflora Delivery System™ makes sure that the probiotics colonize throughout the digestive tract where they can work their magic. The probiotics contained in Primal Defense™ are grown and incorporated into a living whole food substrate using the Poten-Zyme™ process. This puts the bacteria into their home, if you will, allowing them to thrive on their long journey through the GI tract. Most probiotics on the market today are, in their manufacturing process, grown on a substrate and then separated from it by centrifuging. We believe the substrate is as important as the probiotics themselves. Many probiotics include fructooligosaccharides (FOS). FOS is an indigestible sugar that may cause digestive disturbances in certain individuals. Primal Defense contains no FOS. Since most probiotic supplements contain live cultures, they are temperature and age sensitive; therefore requiring refrigeration. Room temperature will begin to degrade these probiotics. The HSOs™ are dormant in the caplet and activated by fluids. Primal Defenseä requires no refrigeration. Many probiotics on the market measure their potency in colony forming units (CFU). In Primal Defense™, it's not the quantity of probiotics, it's the quality. The probiotics in Primal Defenseä are hardy and are designed to resist heat, cold, stomach acid, chlorine, fluorine, ascorbic acid, and bile. The efficacy of a probiotic should be based upon the ability of the product to "on ferment" foods. If you want to test the viability of a probiotic product, simply drop a few caplets in 2-4 ounces of milk and leave at room temperature for 24-48 hours. If the probiotic is viable, the milk will change to a thick yogurt-like consistency. 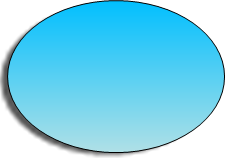 This measures the ability of a probiotic to produce enzymes and break down or pre-digest food. If a probiotic cannot pass this simple test, do you think it will be capable of doing it's job in your body? What are Physicians saying about Primal Defense™? Information taken from "Soil Based Organisms Support Immune System from the Ground Up" and "HSOs as your Primal Defense against Disease" by Dr. Morton Walker, Townsend Letter for Doctors Aug 97, Feb 01, and Beyond Probiotics by Ann Louise Gittleman, Keats Publishing, 1998. * The statements on this page have not been evaluated by the FDA. This information is for educational purposes only. We make no medical or curative claims. These are dietary food supplements, not medicine. fungi, bacteria, parasites, and viruses. to metabolize proteins and eliminate toxic waste. • HSOs™ stimulate the body to produce natural alpha-interferon. microbes produce lactoferrin as a by-product of their metabolism.